This cake was pretty fun to make. 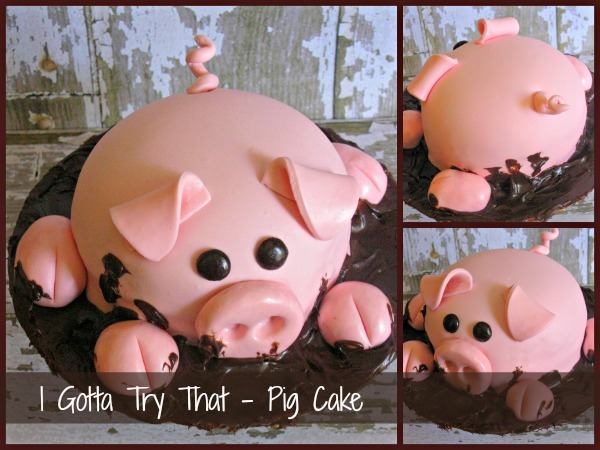 It wasn't for any special occasion, I just wanted to try a pig cake and here it is! Sift together flour, baking powder and salt. Blend together sugar and butter. Add cherry juice, and buttermilk. Stir, then add dry ingredients. Beat 2 minutes and then add eggs. Beat a couple of minutes more. Gently stir in cherries and nuts. Pour into prepared oven safe glass bowl. Size will depend on how large or small of a pig you want. Bake at 350 degrees F for 30 to 35 minutes, or until done. Cool and frost with your favorite frosting. 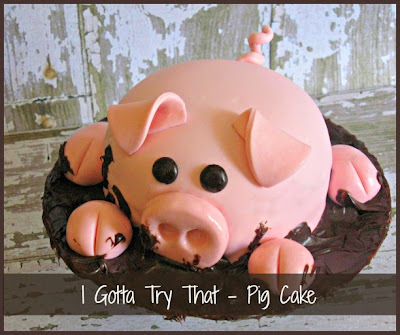 Decorate with pink fondant. For the mud use chocolate frosting. and HERE for pictures to see pictures of the bowl and how the pig body was made. 51 Love To Get Your Feedback!